The Christian community lost one of its most prolific evangelists this year. 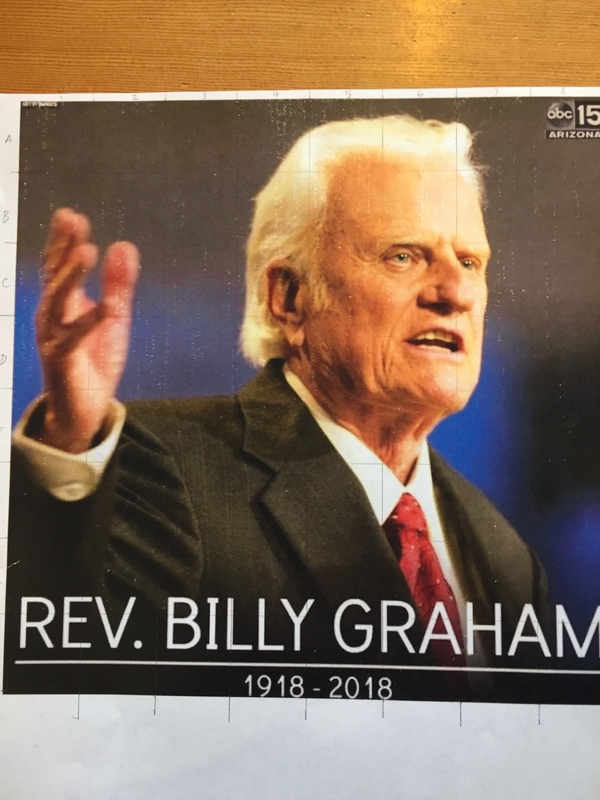 Reverend Billy Graham introduced the Gospel and Jesus to many, many people helping them understand that Jesus defined love by dying on the cross for everyone. This is my tribute to Billy Graham. This is the process I took to draw a picture of Billy Graham I found online. I normally start by drawing 1″ x 1″ grids on both the photo and the paper where I’ll draw the picture. I ride a motorcycle daily – commuting 100 miles to and from work. 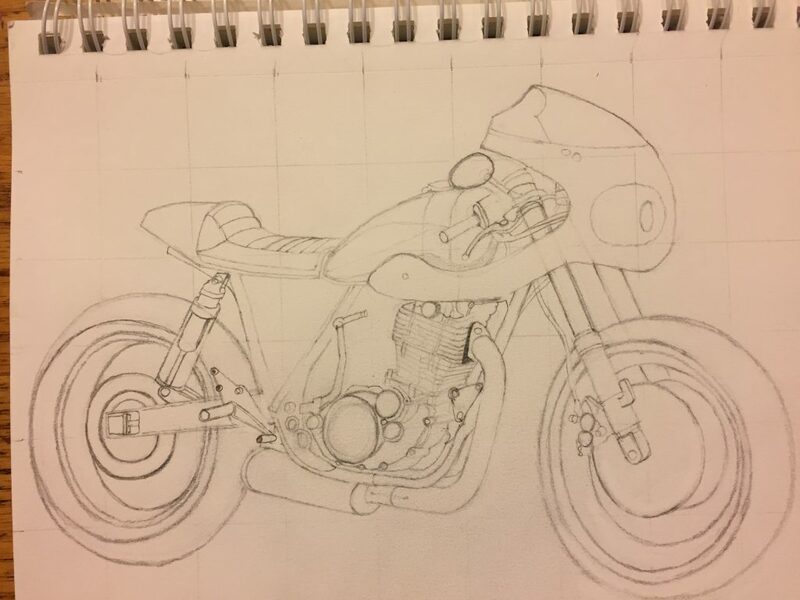 Motorcycles are my drug of choice so I wanted to try my hand at drawing a realistic motorcycle using pencil. Here is the process I took. I started with a photo of a motorcycle I wanted to draw and added a 1″ x 1″ grid. I then made a 1″ x 1″ grid on the drawing paper. The next steps are trying to replicate the motorcycle on the drawing paper and then add the lighting and shading effects to give it the realistic look. Here is the series of pictures. I really liked the Shawshank Redemption movie. A story of a really honest man who finds himself exploited by a faulty legal and prison system only to arrive at the other end victorious. One of my all time favorite movies! I liked the movie poster showing Andy (Tim Robbins) and Red (Morgan Freeman) beside each other so I wanted to try to draw it. This is the process I took, the mistakes I made, the changes I felt were necessary and the final drawing. I still felt like there were problems with the drawing – especially in Andy’s character, but decided to go ahead and consider it completed. Please follow along with the process by viewing the photos below. The start – creating the grids. When the world sadly found out that Dolores O’Riordan passed away on 15 January 2018 it was a shock to Cranberries fans around the world. I wanted to draw a picture of Dolores and found this one from one of the Cranberries’ performances. 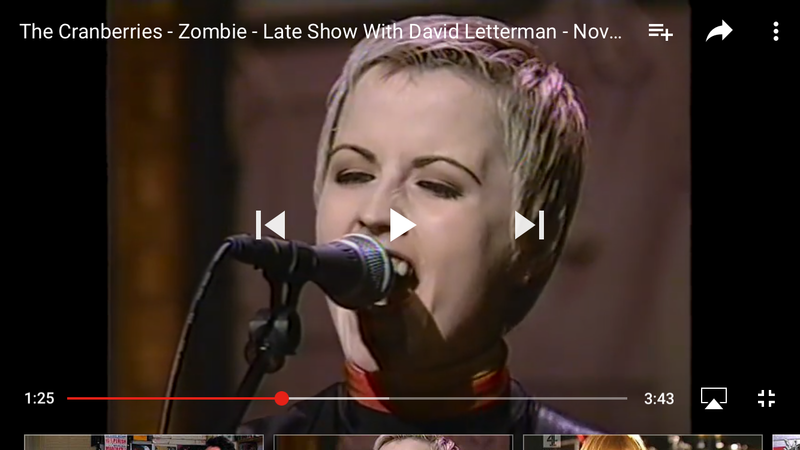 This was my process to draw Dolores from a screen capture of when the Cranberries performed “Zombie” on Late Show with David Letterman – in November 1994. 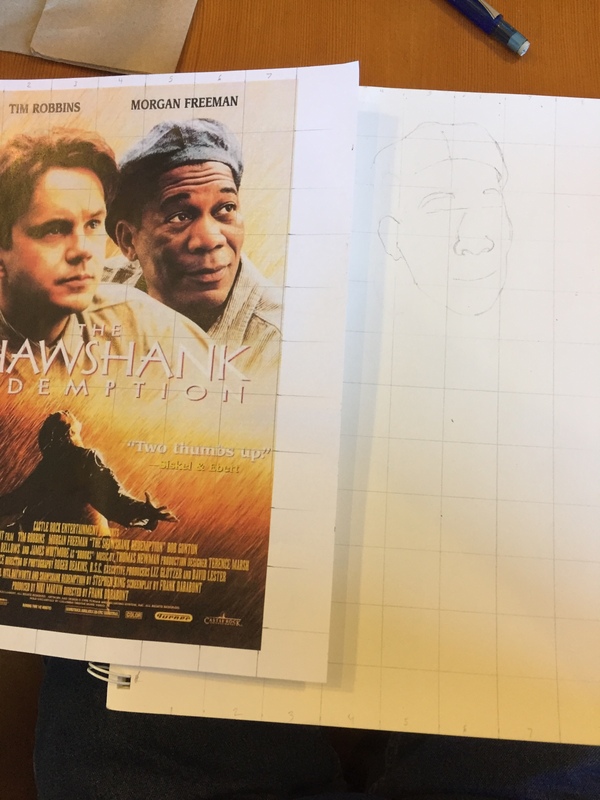 I normally create a 1″ x 1″ grid on the picture then on the paper where I’ll draw the picture. Here are a series of pictures of that process. Here’s the screen capture of the YouTube video from which I decided to draw the picture.